Donald Backlund was born on November 20, 1949, in Kenosha, Wisconsin. He entered the U.S. Air Force Academy in June 1967 and was commissioned a 2d Lt on June 9, 1971. Lt Backlund then received an Air Force Institute of Technology assignment to Indiana University in Bloomington, Indiana, to complete his Masters Degree in History from June 1971 to January 1972. He then attended Undergraduate Helicopter Training at Fort Rucker, Alabama, and was awarded his pilot wings in October 1972, followed by advanced helicopter training at the 1551st Flying Training Squadron at Hill AFB, Utah, from October 1972 to May 1973. Lt Backlund was assigned to the 40th Aerospace Rescue and Recovery Squadron at Nakhon Phanom Royal Thai AFB, Thailand, where he flew HH-53C Jolly Green Giant helicopters from May 1973 to June 1975. During this time, Capt Backlund participated in the SS Mayaguez incident, the evacuation of American personnel in Cambodia, and the evacuation of American personnel in South Vietnam, all in May 1975. He then served as an instructor pilot and flight examiner with the 1551st Flying Training Squadron at Hill AFB, Utah, and Kirtland AFB, New Mexico, from June 1975 to April 1978, followed by Undergraduate Pilot Training (fixed-wing) at Sheppard AFB, Texas, from April 1978 to April 1979. 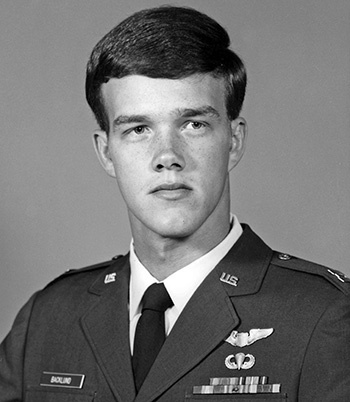 Capt Backlund attended A-10A Thunderbolt II conversion training from April 1979 until he was killed during an A-10 training flight at the Gila Bend Gunnery Range in Gila Bend, Arizona, on August 29, 1979. He was posthumously promoted to Major, and was buried at the Air Force Academy Cemetery on September 5, 1979. At the time of his death, he was getting ready for his next assignment as an A-10 pilot with the 91st Tactical Fighter Squadron at RAF Woodbridge, England. 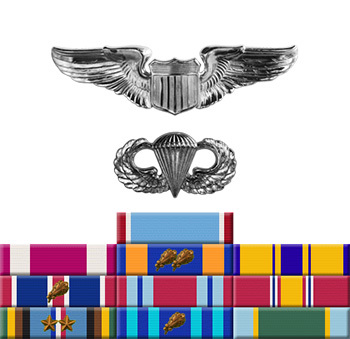 Maj Backlund was awarded the 1975 Jabara Award for Airmanship from the U.S. Air Force Academy, and the David C. Schilling Award for leadership and airmanship in 1976.